If I Were a Dust Particle . . . More from Indian Hill Elementary! « Nancy Keane, Queen of Book Talkers? 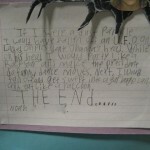 Here are some more great educational ideas from Indian Hill Elementary in Cincinnati, Ohio. 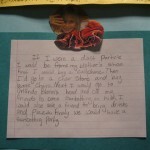 These are from a school visit week in Feb, 2009. The first ones extend STARS BENEATH YOUR BED: THE SURPRISING STORY OF DUST. 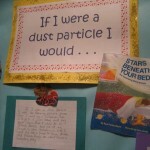 A student imagines where dust goes! 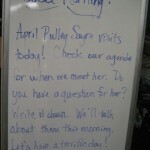 Each classroom had a welcome board outside the door with that day’s special message to students. 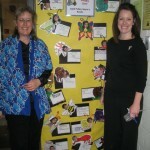 I visited with so many great educators at Indian Ridge. 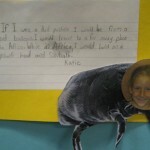 This teacher had her students write buggy poems. For another project they made masks related to the characters in books.